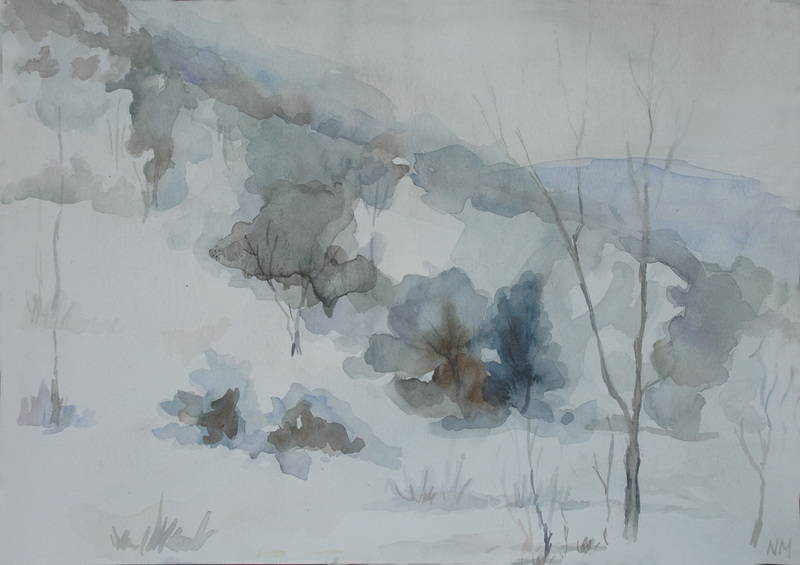 I’ve done this watercolor painting a while back – in November of 2014 together with Winter Landscape. I was trying the layering technique for the first time. You have to develop patience with watercolor in general and this technique especially. It is going to take many layers to get to the final result, but with this technique paintings are full of mystery and sensuality. They seem effortless and exquisite. My second favorite media after oil paints are watercolors. Even though it is considered as one of the most difficult media, the lightness and washed out effects that you can achieve with watercolors are beyond beautiful. I’ve done two landscape paintings inspired by the watercolors that my art teacher saw in her hotel room on one of her recent trips. This one is winter, another one is autumn landscape, which I’ll also post shortly. I love the layering technique used in this painting and the transparency of these layers adds depth and perspective. I had to change my signature and you’ll notice that I only used my initials – NM – on the recent paintings – I didn’t want it to occupy too much space and distract from the painting. Do you like this painting? I’m planning to explore more of this technique and I prepared a few photographs that I’ve taken during my walks around the town. I want to turn them into multilayer watercolor paintings. If you have any suggestions, or your own photos that you would like to provide to turn them into watercolor paintings, please send them to 1happyblog@outlook.com. Subtle colors influenced my botanical watercolor. You might have seen my inspiration post recently, where I told you about lovely Kiana Underwood, her sweet family photos and her awesome blog Tulipina. 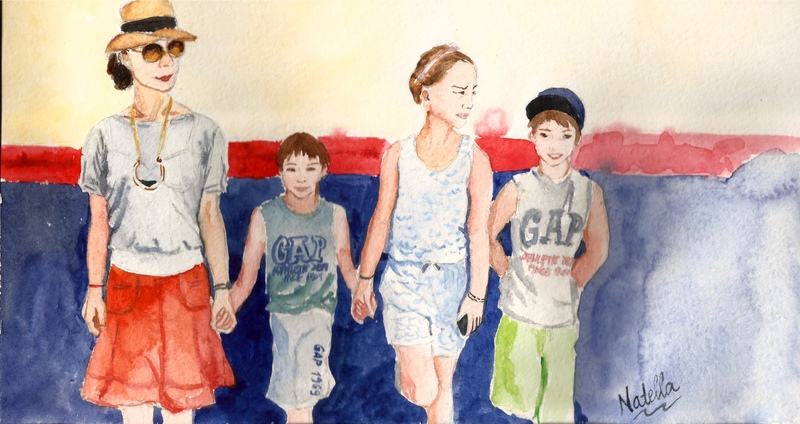 This time I was working with one of my favorite media – watercolors. The challenge was with using my paintbrushes. Apparently, I have either big ones that are great for the background, but not so good for smaller objects, or really thin one for the tiniest details. I had few in the middle, but they were synthetic brushes and while they’re great for acrylic paints, with watercolors they just don’t work the way I want them to work. I’ll need to buy few more kolinsky sable paintbrushes on my next trip to the art store.This time I tried to solve the problem by using only the tip of the brush for the faces and clothing. I’m overall pleased with the result and I enjoyed painting this sketch. While it may not be a 100% photocopy and that wasn’t the point of this watercolor sketch anyway. The point was to show emotions, closeness, family ties and holding on to each other and to me that is a way to build a happy family. 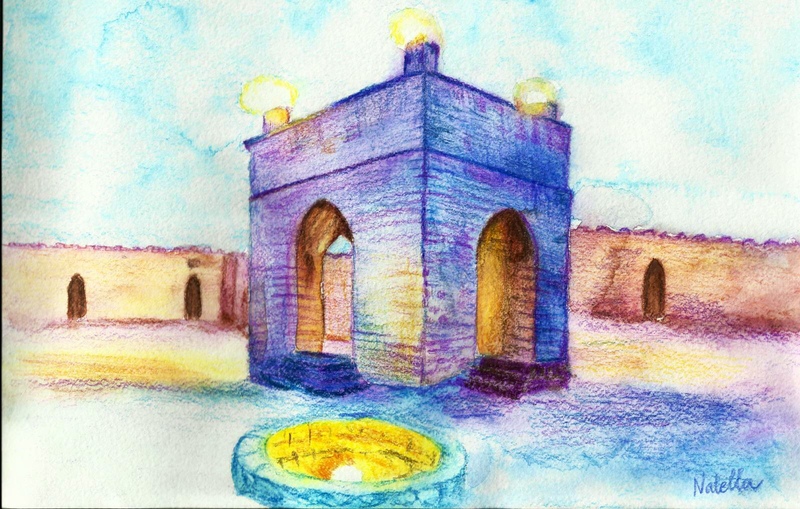 I really wanted to do few pieces on Ateshgah ever since I visited it, which you can read about here. 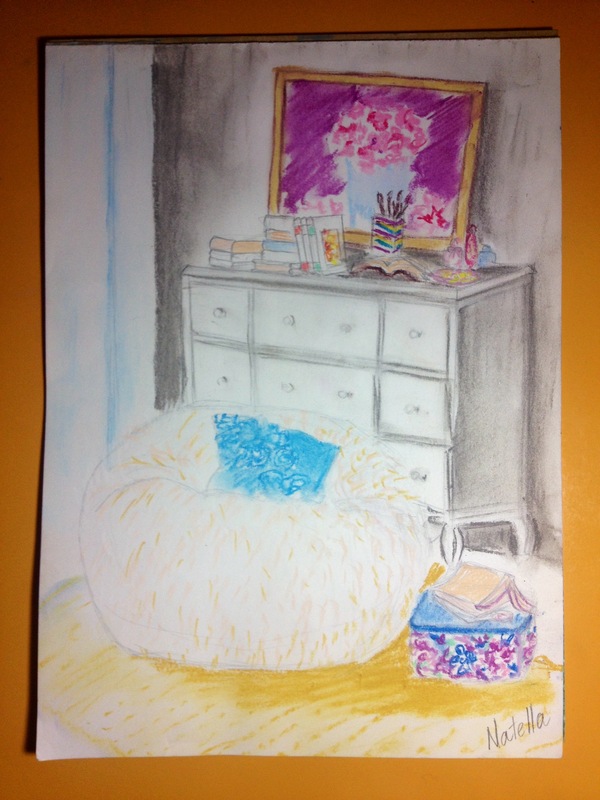 While I was brainstorming ideas and looking through different reference pictures, I came across one that was really blurry, but the colors in it fascinated me and I decided to do a sketch for practice and use my watercolor pencils, which I haven’t been using lately. The drawing didn’t come out exactly how I envisioned it, but I decided some time ago to let go of judgement of my artworks and just focus on creating. So, looking at the positives, I love the washed effect on the sky, colors in general and the way the fire looks, especially in the well in the foreground. 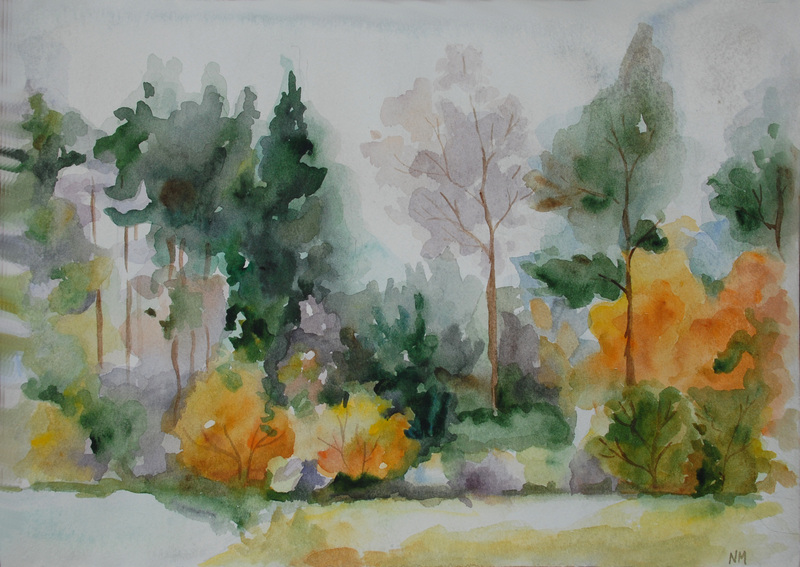 Watercolor botanical summers garden is titled Sunny Day in the Garden, an original nature art painting by nature artist Laurie Rohner. Happy Easter! Let’s paint a chick and eggs! Order now and get free shipping – offer is valid till May 11, 2014 at Midnight Pacific Time. 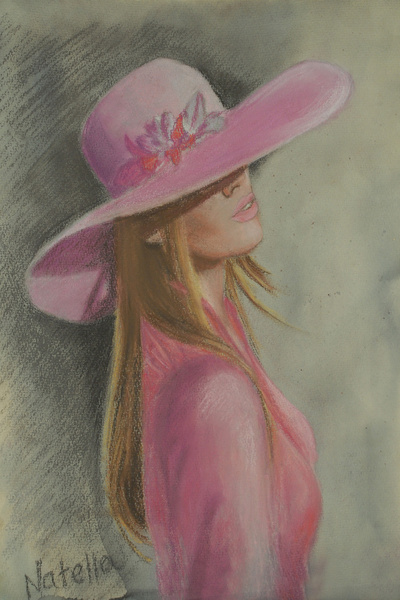 What I love about drawing with pastels is the softness of the material and easiness of mixing and shading. What I dislike about pastel drawings is that you have to be very careful with them and store it securely behind the glass because unlike oil paintings pastel drawing are very prone to damage. 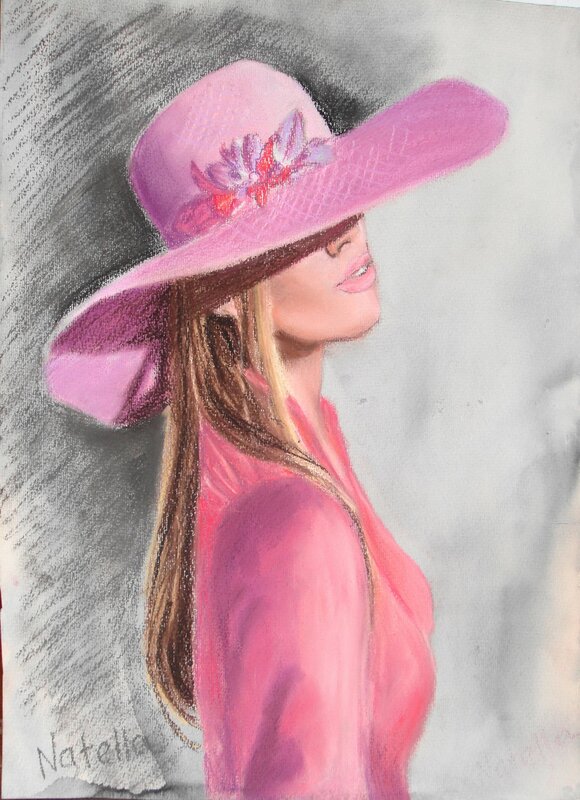 Now here is the story of what happened to my drawing of a lovely lady in the hat. Some time ago I spilled some water on it by accident and I almost cried when I saw how much effort has been wasted. But then I gathered myself together and decided to correct and cover all the spots that were left by the spilled water. Moral #1: Always frame and store properly all the drawings and paintings right after I finish them. Moral #2: Everything happens for a reason. While covering and reworking on damaged spots, I noticed few other things that could be corrected / done better, so there’s always a room for improvement! 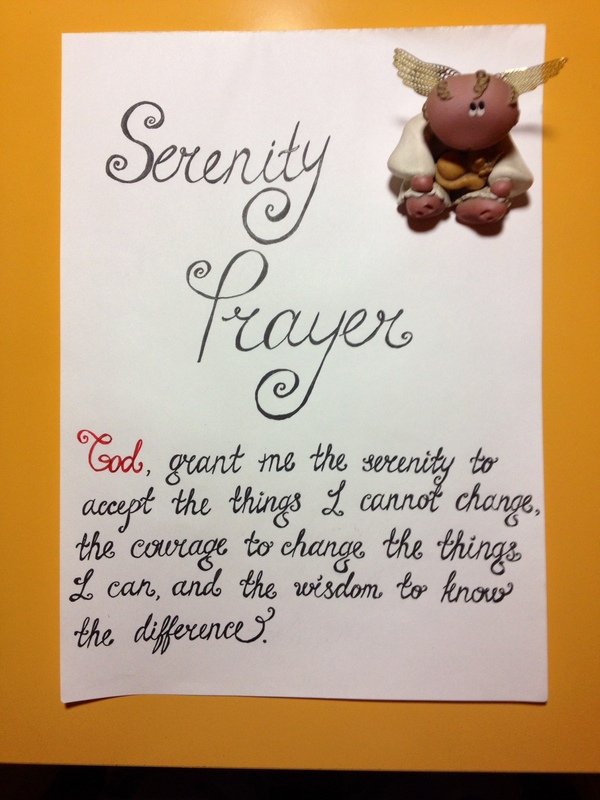 And if I see every situation as a challenge, not a problem, I can always find a blessing and get an awesome outcome! Now, I like the corrected version of the drawing even better than the original. And what do you think? I’m posting before and after pictures for comparison. Please let me know your opinion in the comments below! 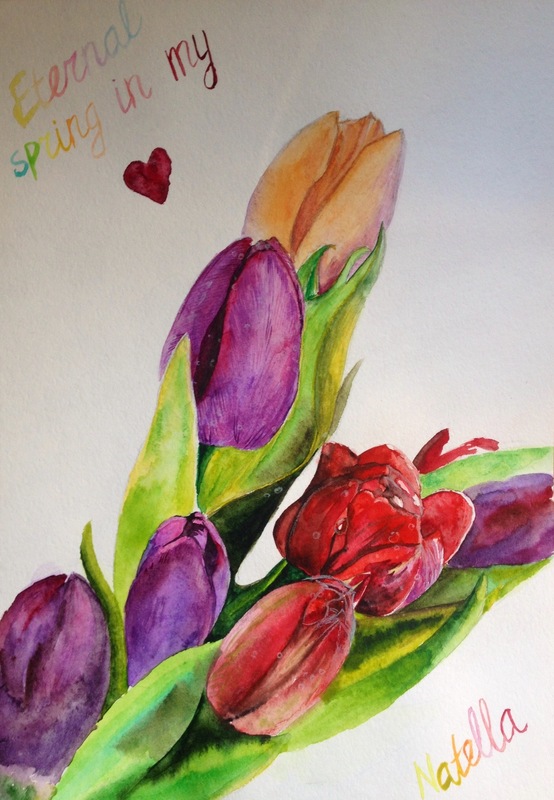 Got inspired by the bright colors of the spring and had to draw these colorful tulips. 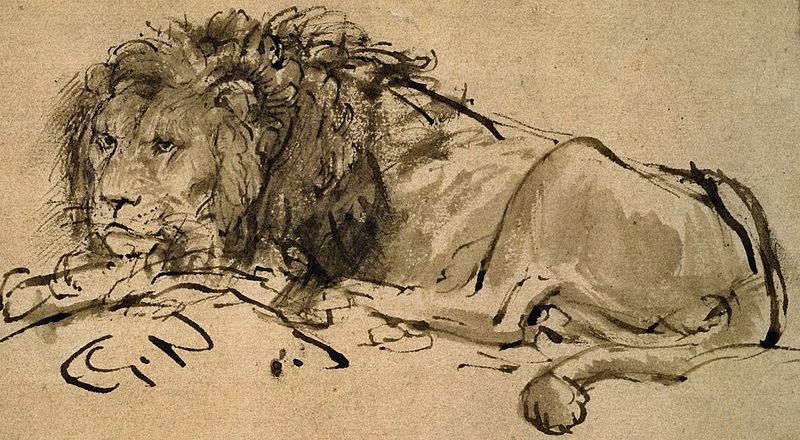 A quick sketch of a lion (top) inspired by Rembrandt’s “A lion lying down” (bottom). 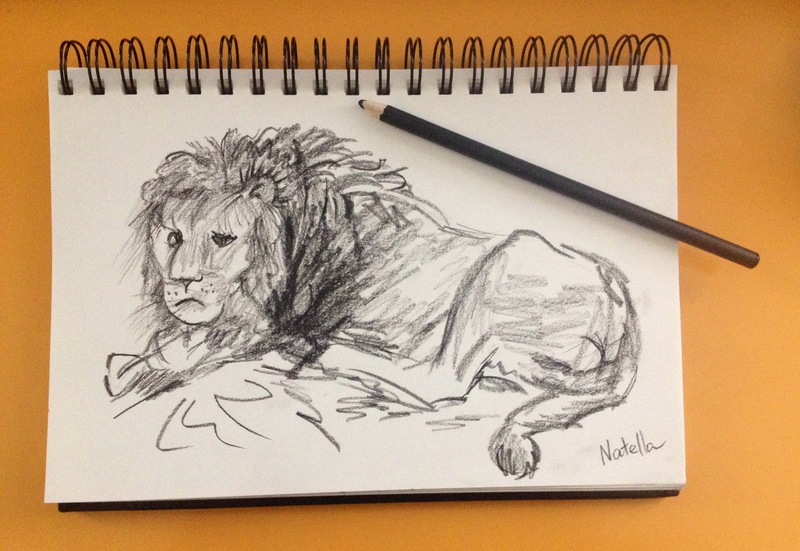 This is the first time I used the charcoal pencil and I liked it a lot.